Christ calls all of His disciples to be His witnesses to the ends of the earth and promises He will go with them. (Matt. 28:18-20). Despite the importance and the provision of His power, this one imperative strikes more fear into the hearts of Christians than any other command. All Christians are aware of their responsibility in this regard, but sadly very few have led a non-believer to a saving knowledge of Christ. I love hearing wonderful stories of faith in which a person is brought from spiritual darkness into the light of Jesus’ love and is saved. I particularly loved hearing my brother Berry Lee (Bubba) recount stories of his patients praying to receive Christ as their Savior either in Bubba’s medical office or in the hospital while being treated for serious medical issues. I never saw a physician pray with a patient for the first 10 years of my medical practice until I saw Bubba pray with one of his patients. Within a year of that time, I gave my life to Christ and was mentored by Bubba on how to minister Christ to my own patients. One of my heroes of the faith is Reverend Anton (Buddy) Uth who was the father of Dr. David Uth. Brother David who is now pastor of the First Baptist Church of Orlando, is married to Rachel, Berry Lee and LaNell’s middle daughter. Cathy and I have known and loved Rachel since she was born, and when she began dating and finally married David we have loved him and his family as well. Brother Anton was a Southern Baptist pastor for many years and faithfully served our Lord in numerous churches until his death in 2009 at age 80. His widow Joann lives in Bryant, Arkansas and is still active in her church, Geyer Springs First Baptist. Brother Anton could tell some of the best and funniest stories of his many years of ministry. I’ll always remember his account of his first evangelistic visit which occurred when he was a student at Ouachita Baptist University. By Anton’s admission his early life was not spent as a believer pursuing God’s will. Following his conversion he decided to begin his education toward a ministerial degree by enrolling at Ouachita Baptist University (OBU) for his undergraduate degree. He was older by almost 10 years than most students and was eager to learn as much as he could as quickly as possible. One of his close friends was Bailey Smith who was a senior at OBU although he was 10 years younger than Anton. Bailey was an enthusiastic soul-winner who in his ministry as pastor of the mega-church First Southern Baptist Church of Dell City, OK. was able to lead as many as 2,000 people a year to Christ. Anton said he wanted to learn how to witness his faith to others, and there was no one at Ouachita better equipped to teach him than Bailey. He agreed to take Anton out on an evangelistic visit and demonstrate how easy and wonderful it was to lead someone to a saving faith. On the designated afternoon Bailey and Anton made their way to a local trailer park which Bailey indicated he had visited on more than one occasion. He told Anton this particular park was very fertile grounds for lost people, and he had led people there to Christ in the recent past. Anton said he was very excited to learn from such a bold and experienced teacher. 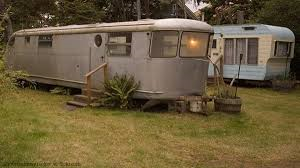 They approached a particularly shabby trailer which Bailey said housed a lost man whom he had visited one time in the past. Bailey knocked on the door, and in a few moments according to Anton, it was opened by a large, unkept man with a 2-3 day growth of beard. He was wearing pants with no shoes and a tight-fitting t-shirt with lots of black chest hair exposed. Bailey said, “Good afternoon Mr. Johnson. I’m Bailey Smith whom you met before, and I want you to meet my friend Buddy Uth. May we come in?” “Sure, come in and have a seat. I need to go back in the bedroom for a minute,” he said. Anton said he and Bailey sat in two chairs in the living area and awaited Mr. Johnson’s return. In less than a minute Mr. Johnson appeared in the living room with a double-barreled shotgun pointed at the two evangelists and said, “I told you last time you were here I would kill you if you returned!” Anton said he was so stunned at this turn of events he was temporarily frozen in the chair, but the moment Mr. Johnson appeared with the shotgun, Bailey instantly bolted out the door of the trailer without speaking. Within another moment Anton said he followed Bailey through the door and started running as fast as he could, noticing Bailey was at least 10-12 paces ahead running at a faster pace. Mr. Johnson meanwhile was shouting curse words at both men, and Anton said he expected to hear a shotgun blast and feel the pain of the pellets at any moment! When he finally caught up with Bailey who had stopped to catch his breath and were far enough from the trailer to be out of shotgun range, he also stopped. His first words to Bailey were, “I’m sure glad you brought me out to teach me how to be a soul-winner. I can’t imagine what the next lesson will be like!” Anton never gave me a follow-up account, but I suspect they did make other more fruitful visits together without re-visiting Mr. Johnson. In the name of Jesus Christ of Nazareth, rise up and walk. I’m not sure who the older man might have been unless it was Brother W. O. Miller the founder of the Good Samaritan Mission. He was a retired Baptist preacher who had a heart for “the unwanted.” The slogan for the Mission was: “Wanted. The Unwanted!” The Mission brought the light of Jesus into a dark neighborhood near the Refinery and opened the door of ministry for quite a few men. I always loved being around Brother Miller! Oh my goodness! That story makes me laugh out loud as I can just picture Buddy’s big eyes staring at that shotgun. Thanks Uncle John for reminding us of that funny witnessing story. I guess after that happened Buddy wasn’t afraid of anything because he definitely won many souls to Christ–even going door to door. 🙂 David and I continually thank the Lord for the tremendous blessing of having fathers that demonstrated God’s love and the great importance of winning others to Christ. Thank you for sharing!! Much love to you and Cathy!